Your gut is telling you to close up the curriculum books and let your kids explore and learn, but your mind is telling you that you need structure and order in your home. Are you intrigued by the idea of unschooling, but you don’t know where to start? Or maybe unschooling seems too chaotic and unorganized for your family. What if I told you that you can unschool without chaos or unorganization? 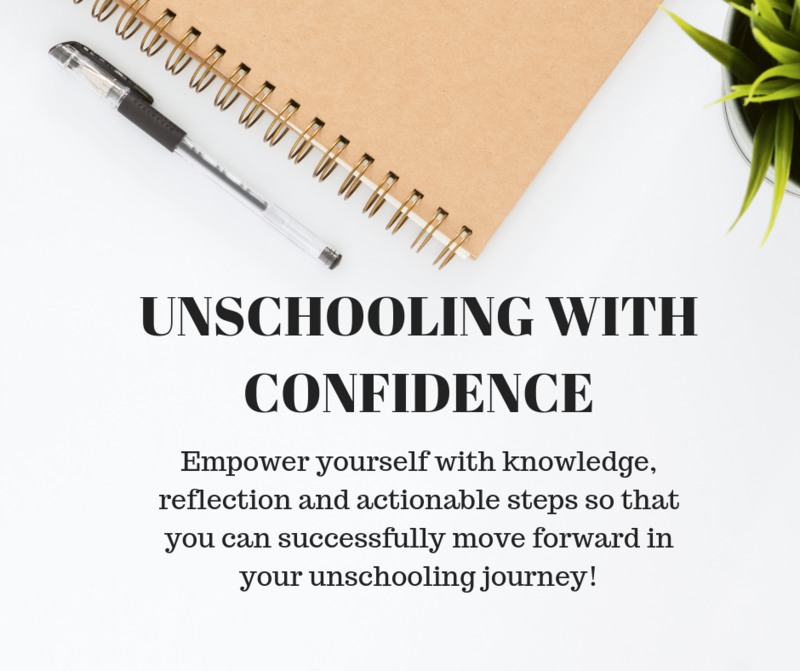 Unschooling with Confidence is a course designed for you and your kids to thrive while unschooling. The course will walk you through what your role is in unschooling, and will address different myths and issues that surround unschooling. Don’t let the word “UNSCHOOLING” scare you! I’ve got you covered!